From the world of Looney Tunes, B-movies and mythological heroes comes Giant Claw, offering audible pulp fiction with a fine artwork LP. Better not to have illusions it’s a dance record. In “Mutant Glamour” confessed synth maniac Keith Rankin exposes the restless side of his brain for chaotic, mostly three-minute mutations. 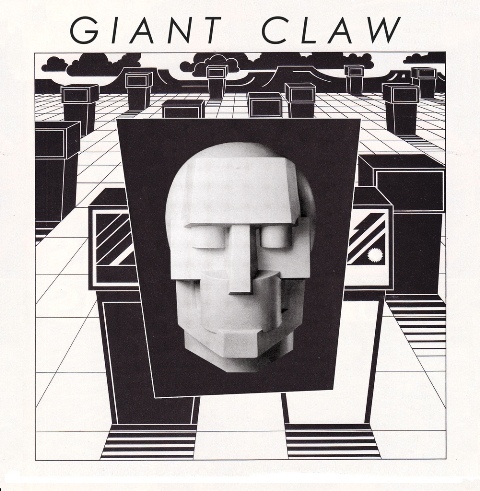 Giant Claw proclaims doing sound collages and as a result we get synth riffs and rhythm splinters in excess, with “Mutant Glamour” describing precisely the nature of the release: Chopped, pickled, cooked and blended 8-bit sounds. Exceptions in terms of floor potential are “L.A. Christ” and the longest track “Trapped In The Mirror”, a wild synth symphony with cheesy italo undertones. On many occasions turbocharged synth-pop is encountered (“Brain On Cream”, “Meansucker”), but also jazzy notes (“Empire Of Summer”) and meditative touches (“Glitter Logic”). All in all, “Mutant Glamour” stands out with a daring approach to the electronic music.